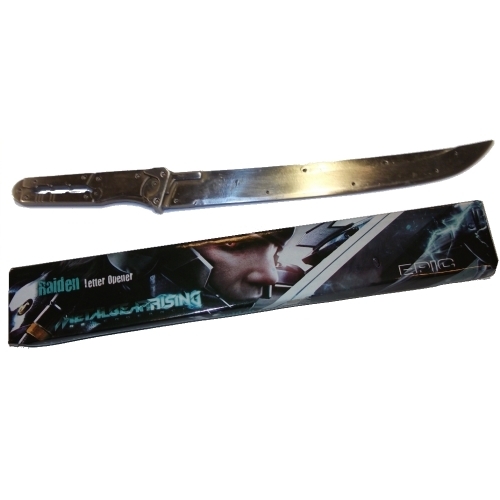 Product Summary: The Metal Gear Rising: Revengeance Raiden Mini Sword as a letter opener! Cast with the highest quality stainless steel with custom etched molds created to feature an exact replica of Raiden's sword. This miniature replica boasts creation using the finest grade material and craftmanship available. Letter Opener is approximately 8.5 inches long.